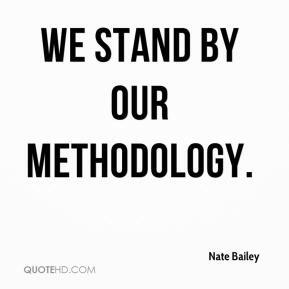 We stand by our methodology. All free people stand on Reagan's shoulders. 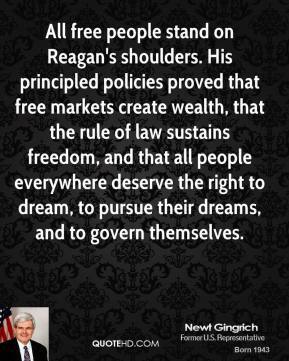 His principled policies proved that free markets create wealth, that the rule of law sustains freedom, and that all people everywhere deserve the right to dream, to pursue their dreams, and to govern themselves. 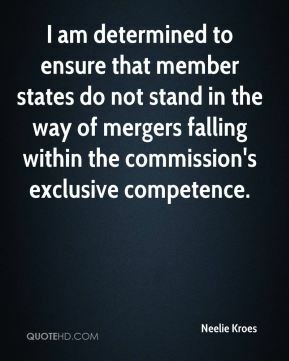 I am determined to ensure that member states do not stand in the way of mergers falling within the commission's exclusive competence. 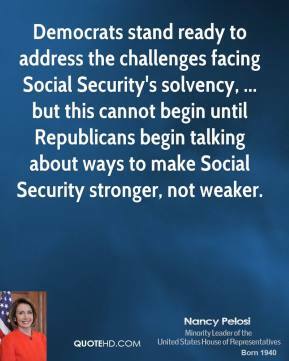 Democrats stand ready to address the challenges facing Social Security's solvency, ... but this cannot begin until Republicans begin talking about ways to make Social Security stronger, not weaker. 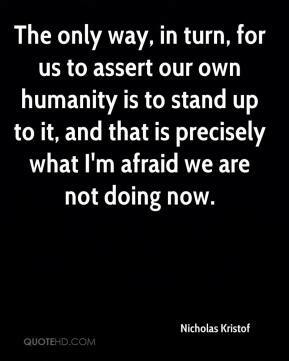 The only way, in turn, for us to assert our own humanity is to stand up to it, and that is precisely what I'm afraid we are not doing now. 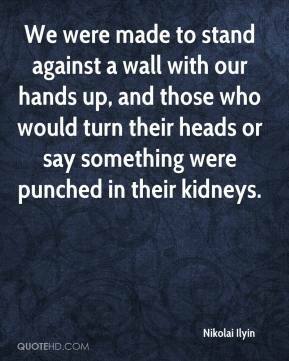 We were made to stand against a wall with our hands up, and those who would turn their heads or say something were punched in their kidneys. 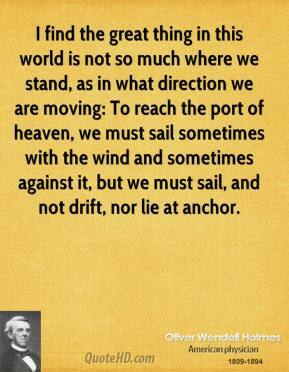 If you look at why we failed, three things stand out. The bar has been lifted and while we haven't slipped back the others have gone ahead quicker. There's a question around the shooting because clearly we haven't delivered. 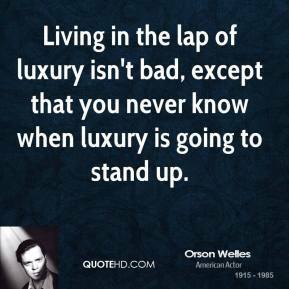 And there's a breadth and depth issue. 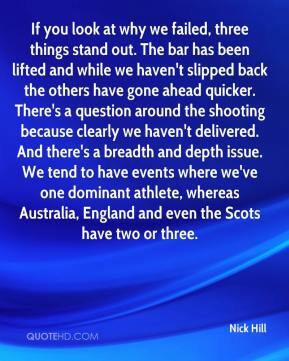 We tend to have events where we've one dominant athlete, whereas Australia, England and even the Scots have two or three. I was real excited. It's nice to be part of history. 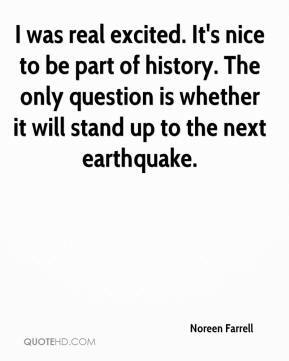 The only question is whether it will stand up to the next earthquake. Once again, the environmentalists stand alone. 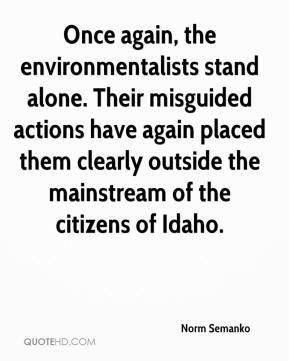 Their misguided actions have again placed them clearly outside the mainstream of the citizens of Idaho. 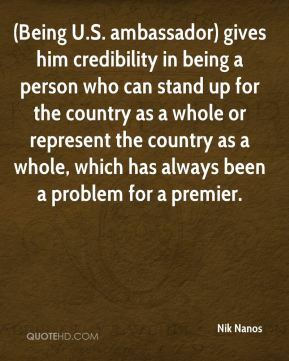 (Being U.S. ambassador) gives him credibility in being a person who can stand up for the country as a whole or represent the country as a whole, which has always been a problem for a premier. wanted to go back onstage, but to be honest, he couldn't even stand. 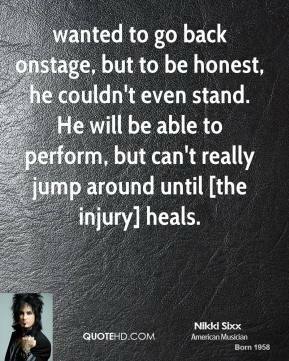 He will be able to perform, but can't really jump around until [the injury] heals. 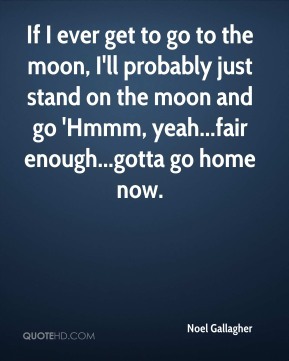 If I ever get to go to the moon, I'll probably just stand on the moon and go 'Hmmm, yeah...fair enough...gotta go home now. 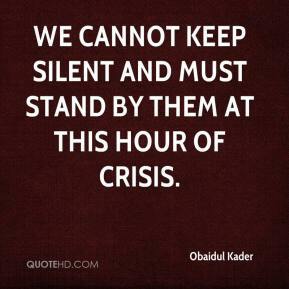 We cannot keep silent and must stand by them at this hour of crisis. 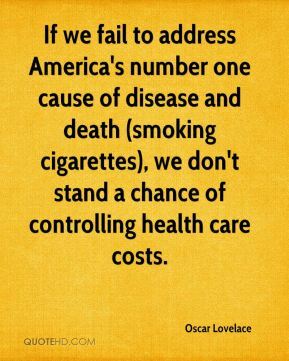 If we fail to address America's number one cause of disease and death (smoking cigarettes), we don't stand a chance of controlling health care costs. 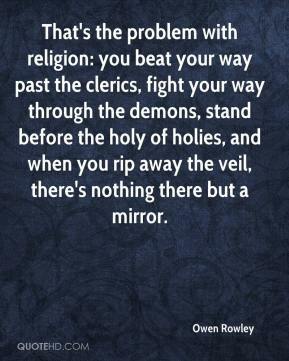 That's the problem with religion: you beat your way past the clerics, fight your way through the demons, stand before the holy of holies, and when you rip away the veil, there's nothing there but a mirror. For the most part I could barely stand up. 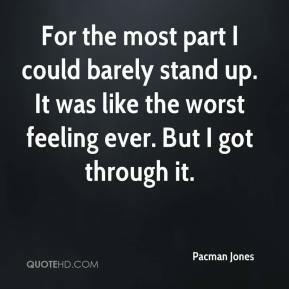 It was like the worst feeling ever. But I got through it. The medal stand was amazing. 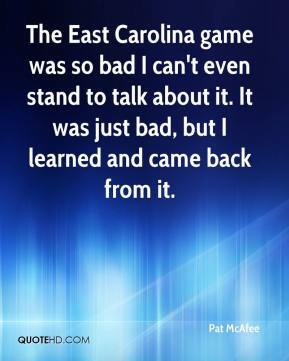 I still get tears in my eyes when I think about it. 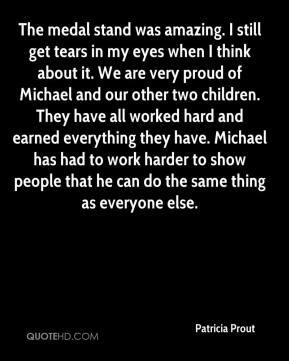 We are very proud of Michael and our other two children. They have all worked hard and earned everything they have. 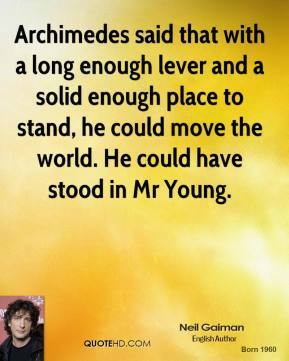 Michael has had to work harder to show people that he can do the same thing as everyone else. I am just so proud of John. 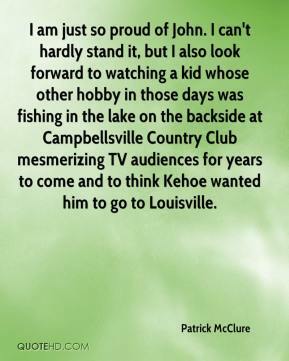 I can't hardly stand it, but I also look forward to watching a kid whose other hobby in those days was fishing in the lake on the backside at Campbellsville Country Club mesmerizing TV audiences for years to come and to think Kehoe wanted him to go to Louisville. 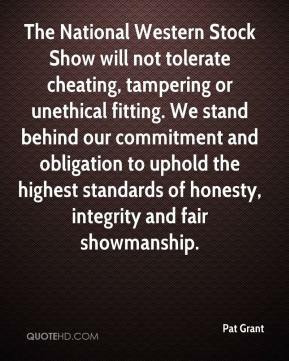 The National Western Stock Show will not tolerate cheating, tampering or unethical fitting. We stand behind our commitment and obligation to uphold the highest standards of honesty, integrity and fair showmanship. To stand by him will be one of the greatest moments in my life. 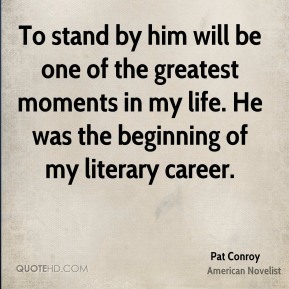 He was the beginning of my literary career.